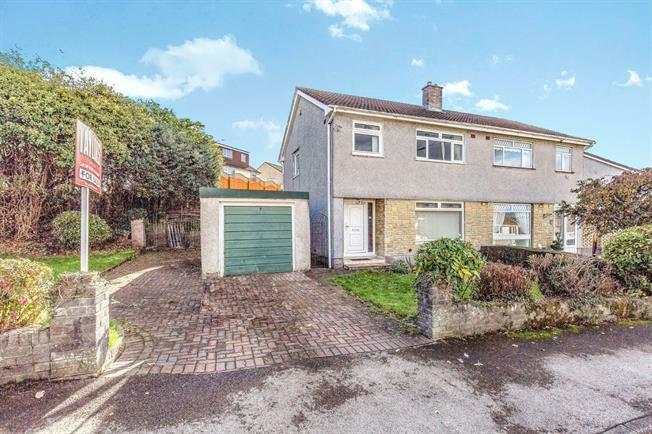 3 Bedroom Semi Detached House For Sale in Newport for Guide Price £190,000. A rare opportunity to purchase this three bedroom home set on a larger than average corner plot, with huge potential to extend the current living space (subject to planning & consent) The property has been owned since new by its current owner and has been well maintained over the years and is ready to move straight in to but would benefit from general modernisation throughout. The accommodation to the ground floor briefly comprises; Entrance hall, living room with glass doors leading through to dining room, Kitchen/breakfast room, utility room, w.c. To the first floor there are two good sized double bedrooms and a generous single bedroom, shower room. Outside to the front of the property there are large enclosed front and side gardens and block paved driveway parking for approx 3 vehicles (scope to add parking for approx 5 cars) there is a garage detached garage with up and over door & power and lighting and a side access leading to the rear of the property. The rear gardens are private and benefit form being southerly facing, being mainly laid to patio with various trees and shrubs.